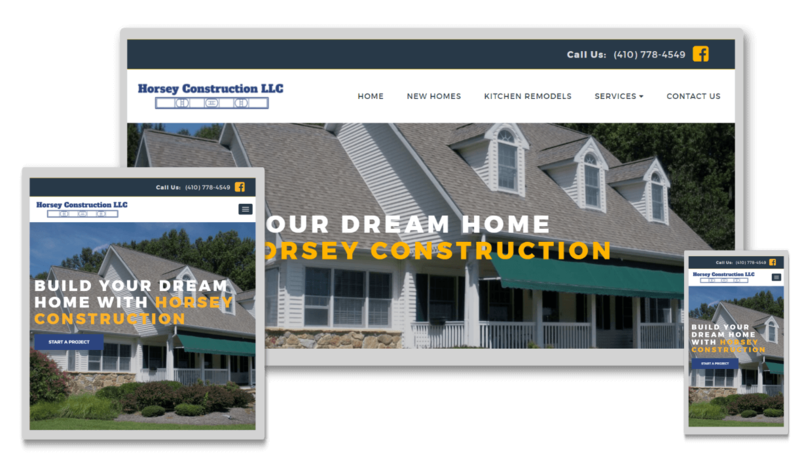 Horsey Construction, LLC is a residential construction company that has been in operation for more than 30 years. When we first spoke with the client about a possible website redesign, they explained how they had been overcharged by their previous website developer and unable to make updates. With this website, we wanted to deliver peace of mind, not just an updated and modern design. The client had a very large amount of project pictures on file from over 30 years of work. We wanted to use every single one of them in this project. Every single image on the website is dynamic, meaning that the website randomly generates a new image from each respective category each time someone visits each webpage. This ensures a new and interesting experience for both new visitors as well as returning visitors. After the website was completed, we discussed with the client some possibilities for managing the website as well as performing security and performance updates and backups. These possibilities all came with predetermined price points so that the client does not have to guess from month-to-month or quarter-to-quarter what to expect and can, instead, focus on their business.